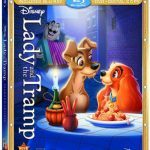 A classic love story unfolds in the best Disney tradition as a lovely young pedigreed cocker spaniel named Lady, who lives a pampered life, finds herself falling romantically for Tramp, an amorous street-smart pooch without prospects. 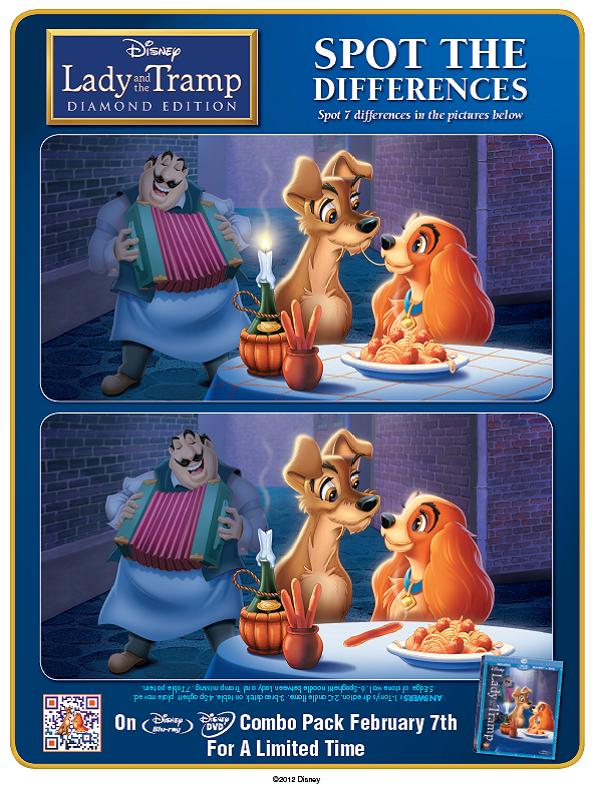 Although they have fun together on several dates, including a sentimental spaghetti dinner by moonlight at Tony’s restaurant, their relationship is strained not only by Lady’s loyalty to her human family and their newborn baby, but by Tramp’s devil-may-care attitude that eventually gets Lady in trouble and tossed into the dog pound. 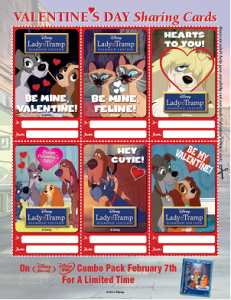 However, good-hearted Tramp redeems himself by saving the baby from potential harm and thus wins Lady’s love and the affection of her human family. 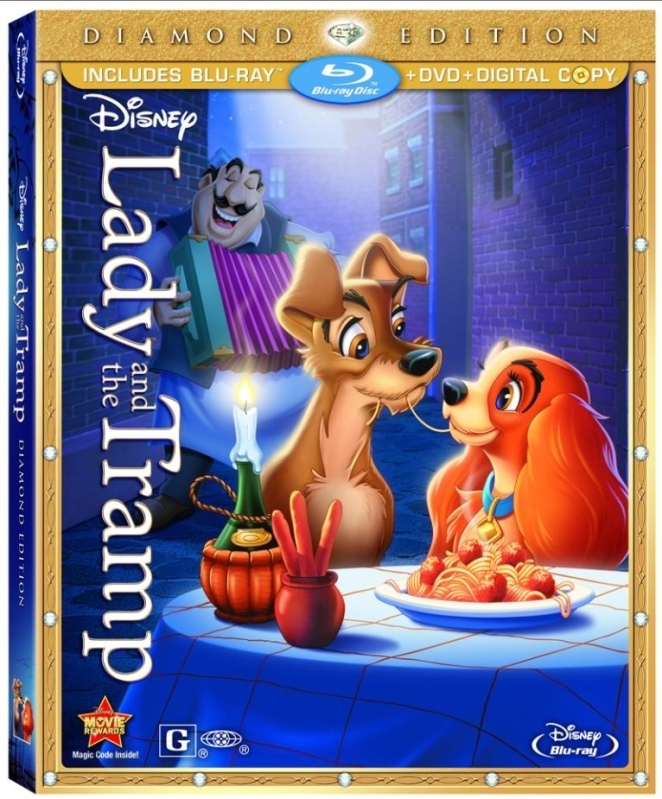 Share this timeless Disney Classic with your family as Walt Disney’s beloved classic, Lady and the Tramp, finally releases from the Disney Vault for the first time ever on Blu-ray. 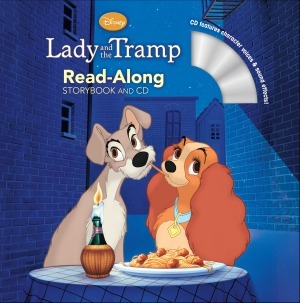 This heartwarming tale now charms a new generation of families and fans with its exquisite animation and unforgettable songs in one of the greatest love stories of all time. 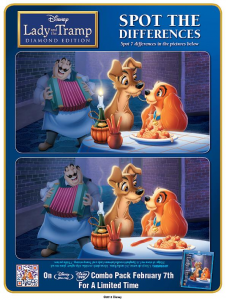 Featuring high definition sound and immersive bonus features your family can enjoy together, Lady and the Tramp Diamond Edition is a must own addition to your Disney collection. This giveaway is open and closes Friday, February 17th. It is open to Canadian residents, with the exception of Quebec.